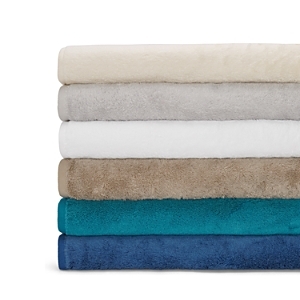 These luxury towels create a master suite with pampering softness, style and quality. Bath towel with floral pattern. The bias at the edge of every towel is double stitched, sewn to perfection, and it will never fall off. Great dyeing accuracy and extremely resistant colors, even after many washes. Its unmatched quality ensures longevity and durability for every product. A pioneering brand considering both design and comfort. Softened fibers and increased fabric brightness of all products, due to an exclusive treatment. All products are pre-washed and pre-shrunk, which guarantees smoothness and a better absorbent capacity. Towels will not shrink or change shape over time. Egyptian cotton. Portugal Pre-washed, pre-shurnk, never changes shape, little to no fuzz or piling, comes with hook. Okeo-Tex certified no bad chemicals used or left on the product. A pioneering brand considering both design and comfort. Softened fibers and increased fabric brightness of all products, due to an exclusive treatment. 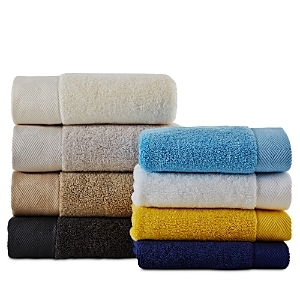 Bath towel of 650-thread count cotton. The bias at the edge of every towel is double stitched, sewn to perfection, and it will never fall off. Great dyeing accuracy and extremely resistant colors, even after many washes. Its unmatched quality ensures longevity and durability for every product. Bath towels in croc pattern. Cotton/viscose. Made in Italy. A band of detailed rope embroidery along the edge of these plush cotton towels by Peter Reed elevate this everyday essential. Set of five cotton towels. Made in Italy. Cotton towel with baroque printed border. Cotton towel with baroque printed border. As a companion to our Resort sheeting, Aura is every bit as worthy of the luminaries and dignitaries that frequent the finest hotels in the world. Its sumptuous combed cotton terry wraps you in softness, while a colorful striped border, woven as if embroidered, adds an air of whimsy to its impeccable design. 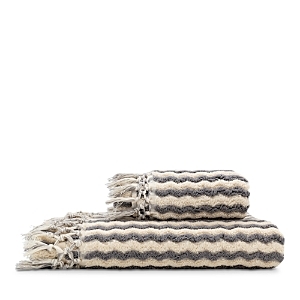 Towels made of European-woven linen. White with contrasting border and a row of hemstitching. Machine wash. Optional personalization (in thread color to match border). 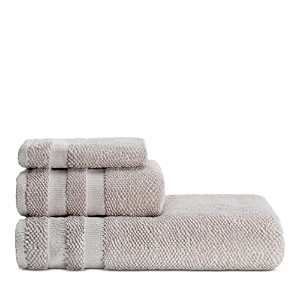 Zero-twist terry bath towels with lustrous sheen and jacquard-woven dobby border. Terry loops are a blend of modal and extra-long-staple combed cotton. Made in Portugal. Indulge your love of softness and color with these plush combed cotton towels featuring a wide honeycomb dobby and hem. 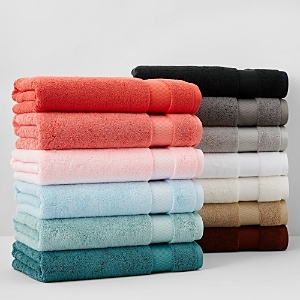 SFERRA uses a revolutionary dyeing technique that preserves color through wash after wash Indulge in the softness and simplicity of Sferra's combed cotton terry towels with wide honeycomb-patterned dobby. 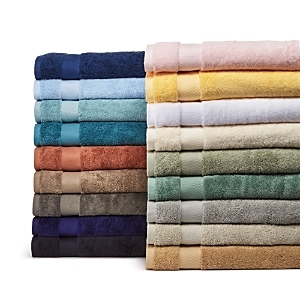 Woven from the finest cotton, these 700-gram towels provide superior absorbency and maintain their color long after repeated washings, thanks to a revolutionary dyeing technique. Made in Portugal. 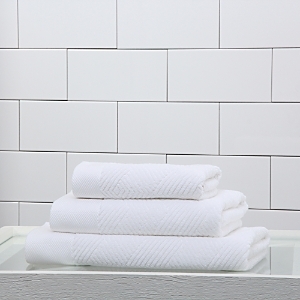 Crafted in plush, thirsty cotton, these luxurious towels by SFERRA feature a smooth dobby with a double row of appliqué trim in neutral hues. Indulge your love of softness and color with these plush combed cotton towels featuring a wide honeycomb dobby and hem. 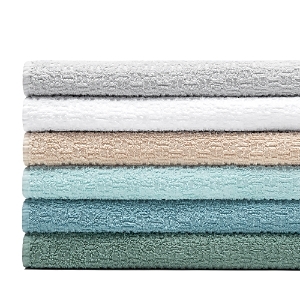 SFERRA uses a revolutionary dyeing technique that preserves color through wash after wash Crafted in plush Turkish cotton, these super-absorbent Sferra towels are an every day luxury for your bath. 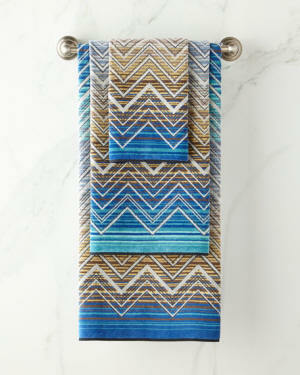 Multi-stripe bath towel. Cotton; machine wash. Hand towel of black and white terry loops on both sides with multicolor dobby. Cotton. 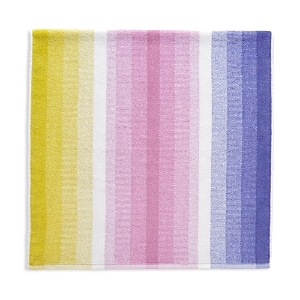 Machine wash. Bath towel of terry loops in a stripe pattern on both sides. Fringe along top and bottom. 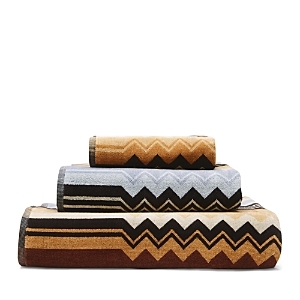 Cotton; machine wash.
Crafted in plush cotton, this luxurious towel collection from Missoni adds vibrant color and pattern to your bath, reflecting and celebrating the design house's iconic zigzag motifs. These striped, plush cotton bath towels are covered with thirsty terry loops and have a velour terry border; finished with black and white dobby and binding. 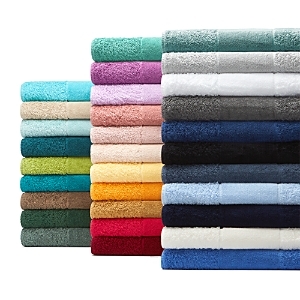 Made in Italy Bath towel with soft velour textured front and terry loop reverse. 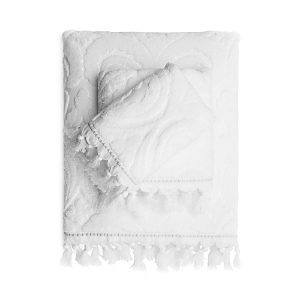 Cotton; machine wash.
Embossed with an elegant damask motif, these soft cotton towels by Caro Home feature colored trim and hand-tied fringe For classic style with a luxurious feel, choose the soft long-staple cotton and chainlink jacquard borders of this Cromwell towel set from Caro Home. Made from lightweight, quick-drying cotton, the Lisbon Bath collection by Caro Home is perfect for monogramming and lends a fresh look to your bath décor. Splashed with a sunny watercolor print of delphinium florals in cool blue and green tones, this Skye 6-piece towel set from bluebellgray includes an assortment of sizes Add a splash of refreshing color and comfort to your bathroom's appointments with the exceptionally soft cotton and stylish dobby borders of these Rain bath towels from bluebellgray. Transform your bathroom into a stylish, serene space with the charming floral patterns and beautiful tones of this Fleur bath collection from bluebellgray. 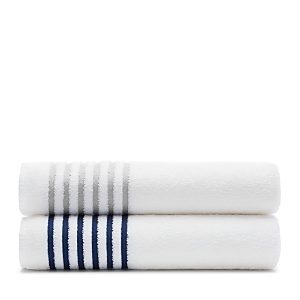 The bright stripes and cozy cotton of this Melrose bath towel set from bluebellgray bring fresh style and comfort to any bathroom setting. Vibrant hand painted art is beautifully translated on this cotton bath set, an eye-catching addition to your guest bath or master suite. 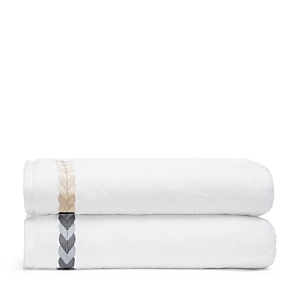 Add cozy style to your bathroom with the Chevron bath towel collection from Martha Stewart Collection, featuring a colorful chevron pattern and the soft touch of cotton fabric. 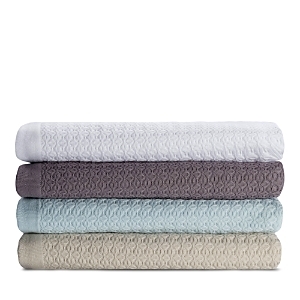 Add charm to your bathroom with the Textured Fashion bath towel collection from Martha Stewart Collection, featuring a textured design and soft cotton fabric. 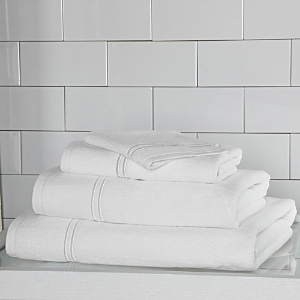 Add charm to your bathroom with the Textured Fashion bath towel collection from Martha Stewart Collection, featuring a textured design and soft cotton fabric. Create a well-coordinated bath with the welcoming array of shades, stripes and geometrics in the Martha Stewart Spa Mix and Match Collection. 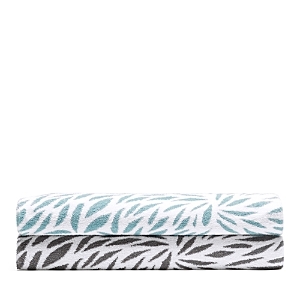 Take your bathing essentials to a whole new level of style and comfort with the cozy cotton and colorful patterns of these Spa Fashion bath towels from Martha Stewart Collection. For best absorption look for high weight Egyptian cotton which has a longer fiber. It is recommended that you rotate 3 sets of linens per person. 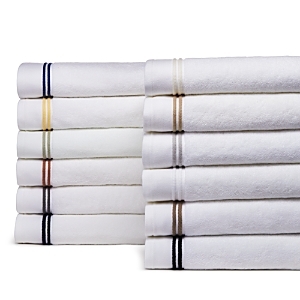 When caring for Egyptian cotton, use a mild detergent. Fabric softeners can inhibit absorption.